Blooms News: We’re Featured on Belle the Magazine, Catering Magazine, PartySlate and More! We’re jumpstarting our New Year welcoming a lot of exciting Blooms by the Box press features! With our own, Joan Wyndrum, giving her fresh perspective on 2019 wedding trends, five real wedding features and thoughtful details you can include for your next gathering, today’s blog is the only place you’ll need get in the DIY wedding spirit! A big thank you is in order to our friends at Belle and Magazine, Catering Magazine, PartySlate, HelloGiggles and Zola for featuring our team and blooms! What do you get when you discover the perfect mix of modern industrial style with classic romance flare? You get Katherine and Adam’s sophisticated wedding day! 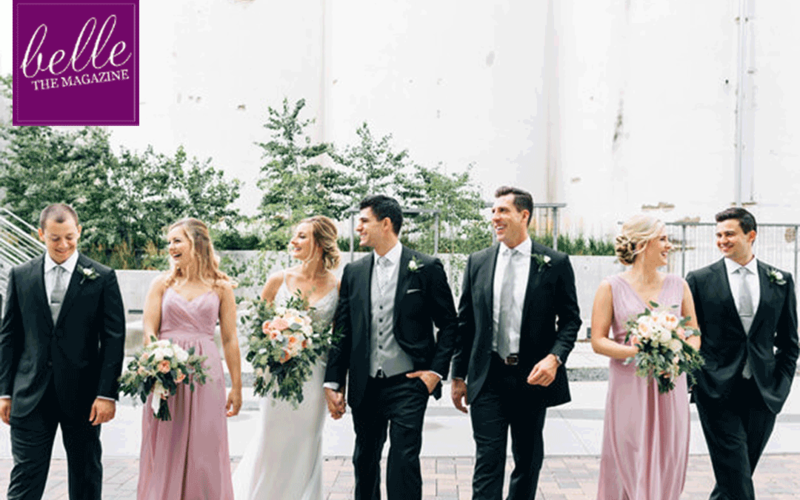 Filled with DIY flowers and taking inspiration from featuring shades of blushes, muted lilacs, and deep greenery, their wedding is beautifully ethereal, and we’re so excited to share that it was recently featured on Belle the Magazine’s blog! Access the full wedding gallery of their big day here. Thank you to Belle the Magazine for sharing their wedding! A new year means new wedding trends! 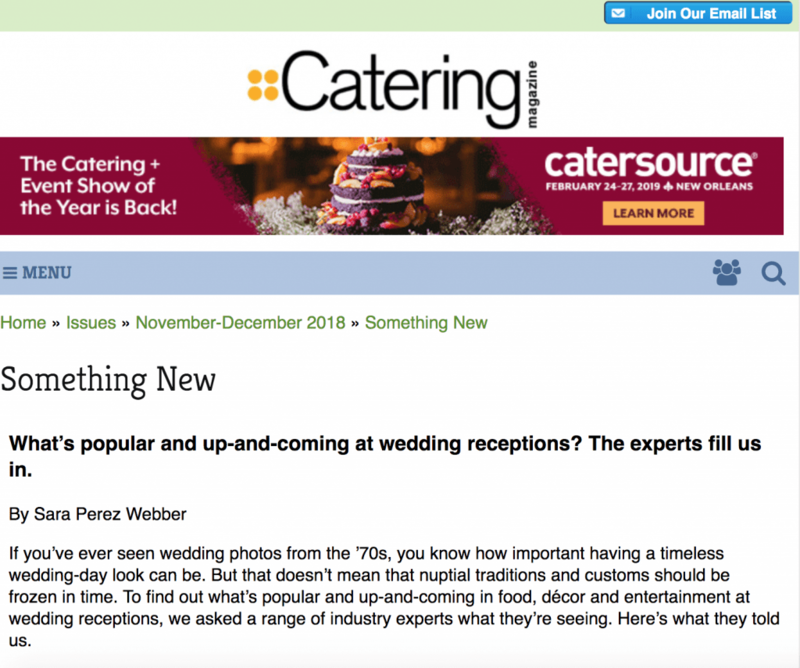 We’ve partnered with Catering Magazine to uncover this year’s popular and up-and-coming trends for your wedding reception. When it comes to flowers, Joan predicts that jewel-tone hues will be showcased in blooms-aplenty! With this eye-catching, vibrant color palette will create elevated centerpieces in forms of burgundy dahlias, fuchsia garden roses, purple ranunculus, yellow dendrobium, blue thistle, and bright greenery. We’re crazy over this trend and are so excited to see how our couples jewel hues in their DIY arrangements! Read all of the 2019 wedding reception trends on Catering Magzine’s blog here. Neopolitian pizza, delicate centerpieces, and a moody color palette – Heather and Jesse’s Vancouver wedding feature on PartySlate is a sight you must feast your eyes on! 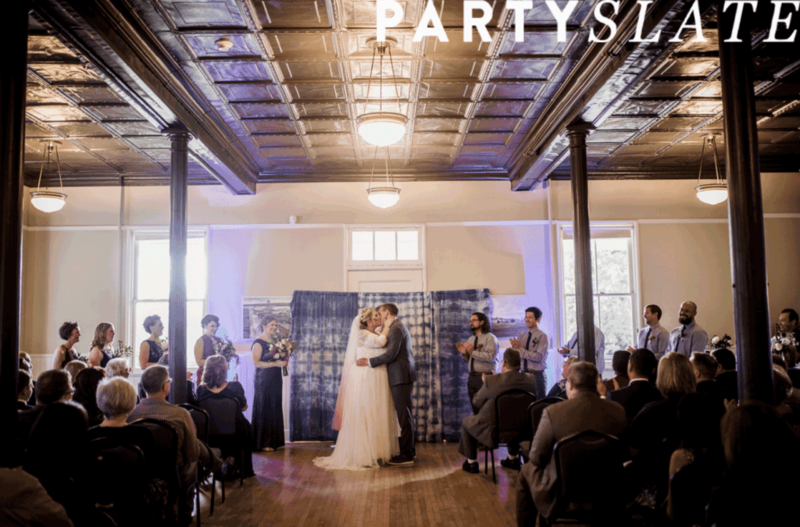 The pair wanted to create a day that highlighted their personalities with carefree vibes filling the venue while incorporating DIY elements whenever they could. The outcome? A wedding day unlike any other! 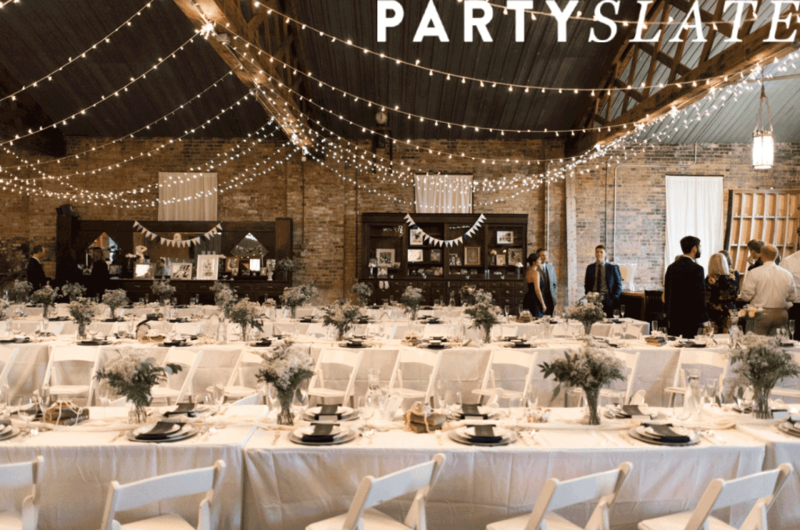 Visit PartySlate’s website here to immerse yourself in their casual affair. And, thank you to PartySlate for the feature! Liz and Kyle’s wedding is the only vintage theme we’ll need to take inspiration from here on out! With that help of some talented friends and family, Liz pride’s herself on her handmade floral arrangements – and, we must say that they are some of the best DIY designs we’ve seen to date. They even incorporated little treasures found at an estate sale and vintage hunting shop to accent the floral centerpieces for their tables. Many thanks to PartySlate for the feature! Browse here to view Liz and Kyle’s wedding photos. The holiday party season may be past us, but it’s never too late to start planning for this year’s festive event! If you’re hosting a holiday party, you know that dress that often comes with the territory of securing the guest list, creating a tasty menu and creating the gathering’s ambiance. 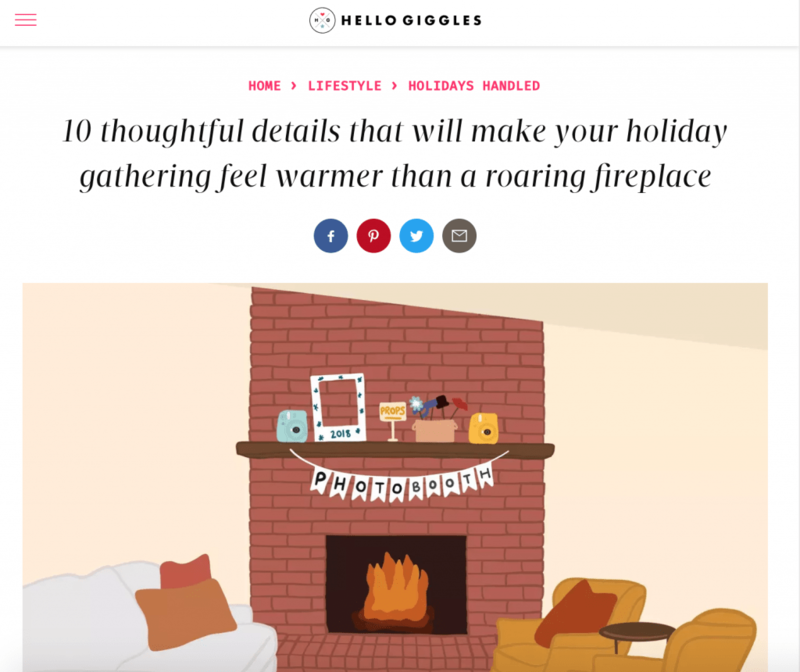 Well, have no fear because we have partnered with Hello Giggles to offer ten little suggestions that can pack a major impact with your guests to make them feel extra special and welcome at your holiday party. Access all ten details by heading over to Hello Giggles‘ website here. We can’t think of a better way to close out celebrating this month’s press mentions than with Kayla and Jairus’s Lake Tahoe wedding feature on Zola! With a blue, pink and white color palette, their modern spring wedding is intimate and simply beautiful. The couple brilliantly designed many do-it-yourself projects from their Blooms by the Box bouquets and arrangements to hand-letter signs at the reception. And, you may not believe a professional didn’t design their wedding flowers because they are just that gorgeous. Why not see for yourself by clicking here? Thank you to the team at Zola for sharing!